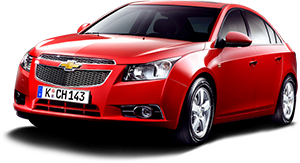 Quality 1 Auto Service in Temecula provides complete auto repair and service for owners of Chevy and other GM makes for customers in Temecula, Murrieta and surrounding cities. Our clients rely on us for fast and efficient auto repairs, to get them back on the road quickly, at a great price. Our personalized service is second to none.. We receive many referrals from clients who have been unable to get a proper auto repair elsewhere and now find a first time fix every time. Chevy and other GM makes share common diagnostic equipment and repair procedures. We at Quality 1 Auto Service utilize current auto repair service information along with the best diagnostic tooling and our ASE Certified Master Technicians to give your vehicle the best repair and service work. Today’s Chevrolet and GM makes have become more complex and require the knowledge and training our technicians will provide. We only use the highest quality parts when performing repairs, giving you lasting auto repairs. Our attention to quality and detail is second to none. Our local Chevy clients from Temecula, Murrieta and surrounding cities really appreciate the benefits they get when having their auto repairs done with us at Quality 1 Auto Service. A sample of our benefits include free car washes, loaner cars available , free shuttle service back to home or to work, locally. Best of all, is our 3 year/36,000 mile auto repair warranty. No dealer or independent auto repair shop in all of Riverside or San Diego Counties is able to match our offering. We know our quality work and we back it up. So, if you drive a Chevy or GMC truck, Chevrolet car, Oldsmobile, Hummer, Cadillac, Buick, Pontiac, Saturn or Geo, please give us a call with your Chevy or any other GM auto repair questions. You will be glad you did.